Regret is not an uncommon experience. We all wish we could have done something different. Hindsight as always valuable but what does the energy of regret do to us? How does it robs peace of mind? What is the best way to deal with the regret in order to move forward? As Cindy does explaining everything in the context of energy we can see how important to learn from the past and let it go - into the past. 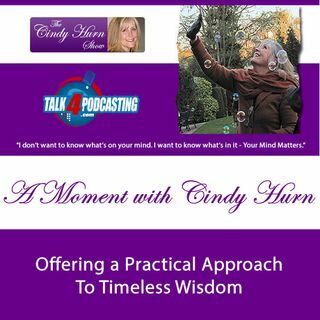 This show is brought to you by Talk 4 Radio (http://www.talk4radio.com/) on the Talk 4 ... See More Media Network (http://www.talk4media.com/).